This pic gave reader copeland night sweats. I saw that guy out at the weekend. What a kook. Wow , you wouldn't want him dropping in on you ! 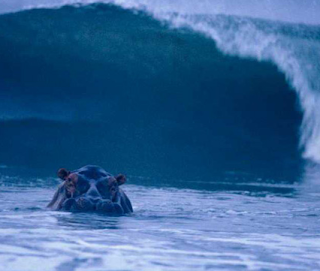 That hippo actually looks a lot more comfortable in the water than any donkey surfer. I was expecting another WYD photo.